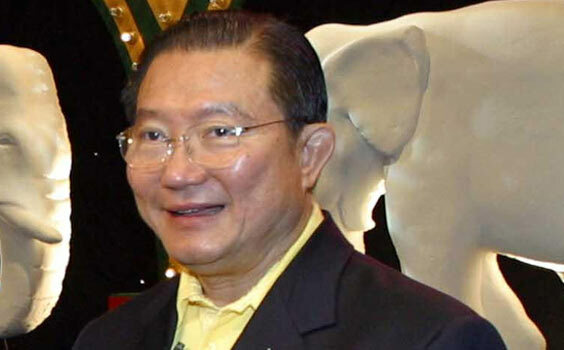 Thai entrepreneur Charoen Sirivadhanabhakdi has an estimated net worth of $17.4 billion as of January 2018. Born on May 2, 1944, Charoen Sirivadhanabhakdi is currently married to Khunying Wanna with whom he has five children. His son, Panote Sirivadhanabhakdi, currently serves on the board executive committee of Fraser & Neave Ltd. His other son, Thapana Sirivadhanabhakdi sits as ThaiBev's chief executive officer. On the other hand, his daughter Wallapa is TCC Land's executive director. Considered as Thailand's third wealthiest businessman, Charoen Sirivadhanabhakdi currently serves as the Chairman of Fraser & Neave Ltd. He is noted for owning several real estate properties which include Bangkok's Pantip Plaza, Manhattan's Hotel Plaza Athenee, and other hotels in the U.S., Australia and Asia, as well as retail, commercial and residential buildings in Thailand and Singapore. After working as a supplier to distilleries that produce local Thai whiskey, Charoen Sirivadhanabhakdi has obtained a license to produce his own alcoholic beverages. In 2013, his fortune is said to have doubled when the shares of ThaiBev also doubled, ThaiBev is considered as the largest maker and brewer of Chang Beer in Thailand.